Due to the busy season, puffers may be delay in production step (3-7 days). Please be patience waiting for the order. We trying the best. A long downcoat with a volumetric collar and belt. The product is made from rain/snow and windproof fabric. Coat with hidden pockets on zip.. This model – one of the longest from all MARCHI’ puffers. 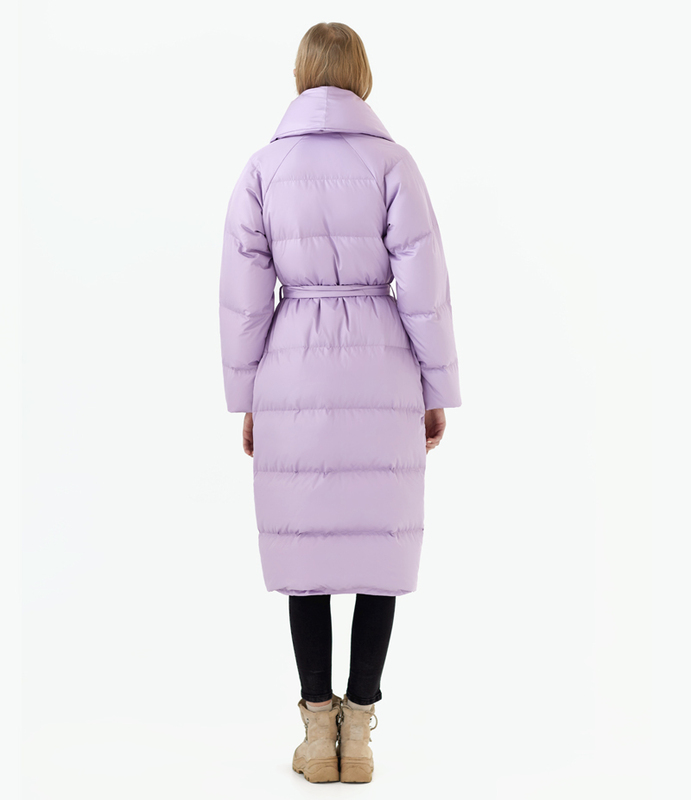 Downcoat with a collar is fully filled with goose down, which creates trendy oversize look. It is full of natural goose down, and with comfort can withstand winter frosts down to -30 ° C.